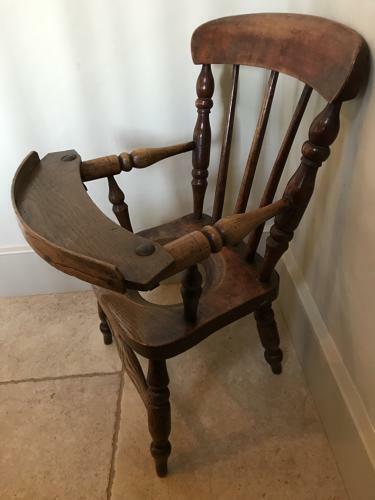 Attractive and sturdy Victorian Child's Chair with tray section. A wingnut undoes under one side of the tray allowing the tray to swivel out. Lovely patina and still good to use! Elm and Oak.